Qatar is investigating an alleged attempt to manipulate its currency during the early weeks of a Gulf political crisis, now in its sixth month, a government spokesman said Sunday. The director of Qatar's government communications office said an unnamed global financial institution -- partly owned by United Arab Emirates investors -- had been instructed to stop trading Qatari riyals across Europe and Asia. Saif al-Thani's claim is the latest development in an increasingly complex and bitter crisis. Since June 5, Qatar has been diplomatically, politically and economically boycotted by the UAE, Saudi Arabia, Bahrain and Egypt over charges Doha supports terrorism. "If this financial warfare is true, it is disgraceful and dangerous not only to Qatar's economy but the global economy," Thani told AFP. "One of the financial institutions stopped trading in riyals for a few days and it was only when we reached out to them" that it resumed, he said. Qatar's intelligence agencies are carrying out an investigation and "have engaged with law enforcement officials in the relevant jurisdictions", he said. The Qatari claim comes just days after The Intercept, a US-based investigative website, said it had uncovered a UAE plot to "wage financial war" on Doha. It claimed leaked emails belonging to the UAE's ambassador in Washington, Yousef al-Otaiba, revealed a complex plan to attack the riyal through bond and derivatives manipulation. The plan allegedly aimed to destabilize Qatar's economy to the extent that it would have to give up the right to host the football World Cup in 2022. Al-Thani said Qatar had become aware of the currency issue in July but was revisiting the issue following recent media reports. "Definitely they are attacking 2022 in one way or another," he said. Qatar is the first Arab country to be chosen to host the FIFA World Cup and has launched massive construction projects in preparation, triggering a huge influx of migrant labour. 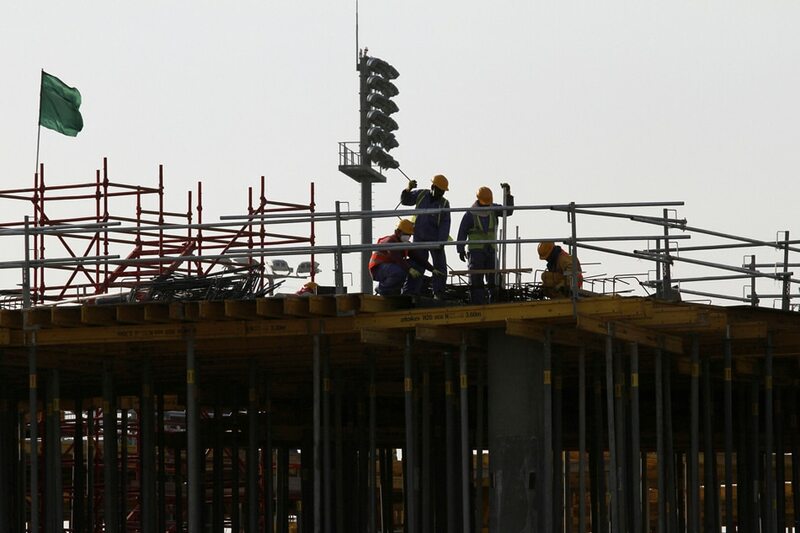 The UN's labor agency on Wednesday closed a three-year probe into the alleged mistreatment of those workers, praising a reform plan agreed by the emirate.